COVER REVEAL!!! 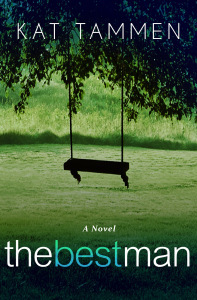 ~ The Best Man by Kat Tammen – Imagination and information for book's. Emelia Sullivan and Andy Dalton have been friends since they were five years old—the day his family moved in to the house next door. Connected by bedroom windows that faced each other and a treehouse they shared in the backyard, the two became lifelong best friends. Emelia loved Andy with all her heart. But not like she loved his older brother, Samuel. Tall, handsome, and the absolute best at everything he ever did, Samuel Dalton captured Emelia’s heart without even trying. He was her first, and longest-lasting, crush. Children grow up and move away from home. With effort, some ties are strengthened by time. Some are frayed, on the verge of breaking. MODERN MAGIC & EVERYTHING IN BETWEEN.